You'll also get access to guided audio meditations on the 10% Happier app, to jumpstart your practice from day one. ABC News anchor Dan Harris used to think that meditation was for people who collect crystals, play Ultimate Frisbee, and use the word "namaste" without irony. After he had a panic attack on live television, he went on a strange and circuitous journey that ultimately led him to become one of meditation's most vocal public proponents. Harris found that meditation made him more focused and less yanked around by his emotions. According to his wife, it also made him less annoying. Science suggests that the practice can lower your blood pressure, mitigate depression and anxiety, and literally rewire key parts of the brain. So what's holding you back? 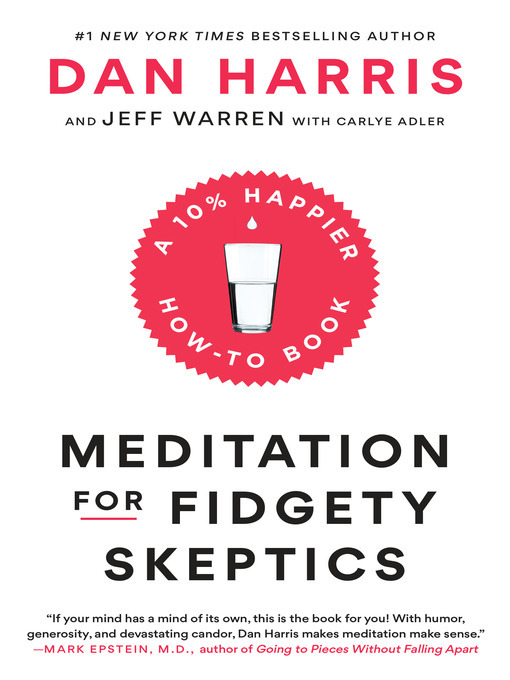 In Meditation for Fidgety Skeptics, Harris and Jeff Warren, a masterful teacher and "Meditation MacGyver," embark on a gonzo, cross-country quest to tackle the myths, misconceptions, and self-deceptions that keep people from meditating. It is filled with game-changing and deeply practical meditation instructions—all of which are also available (for free) on the 10% Happier app. This book is a trip worth taking.